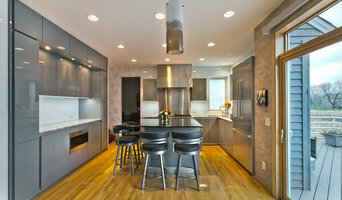 Abode Design Solutions is a residential design firm based in Minnetonka, MN. We specialize in affordable 3d, full color design and the execution of construction documentation, for bid or permit. Abode has successfully completed and continues to collaborate on a wide variety of residential projects. If your needs are full scope, from conception to documentation, or you require only bid documents, we can tailor our services to fit your needs. We can also deliver budget pricing and fully licensed General Contractor referrals or design build services for any project size or type. We take pride in consistently delivering detailed drawings that will ensure the entire building process runs smoothly, reducing the number of costly change orders and schedule delays. Using state of the art 3d design software we build an electronic model of your home to show you your project before it is built. This model is developed through a three phase approach allowing you to make changes and easily adjust scope, colors and materials along the way. Abode has extensive knowledge of all the latest building materials and can help with any of your interior or exterior finish selection needs. Regardless of whether it’s a complex alteration, simple addition, or a distinctive custom home, Abode Design Solutions has the expertise, the dedication and the professionalism to accomplish the task. 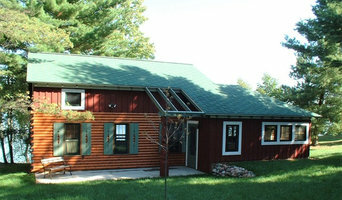 Experience In addition to custom home and cabin design, we have extensive experience in alterations and additions to existing homes. We respect the existing design of the home and use traditional methods or, where appropriate, contrast the design with innovative, modern materials. With a keen eye for detail, scale and aesthetics as well as a history in the commercial design industry, we are able to deliver fresh, cost-effective ideas to the residential design market. Interior Finish Selection – Abode can help turn your house into your home by assisting you with all your interior finish selection needs. Tile, stone, millwork design, flooring, specialty lighting, plumbing fixtures and appliance selections are all delivered in a bid package for you to keep your selections organized and to help your contractor coordinate the installation of those items. These selections can then be added to the drawings as needed for project coordination purposes. Interior elevations and renderings can be created to help you visualize your finished space. How do I find the best Shoreview architect for my home design project? It is best to hire a home architect who will be involved in all phases of the design process, from the initial concept to the completed construction. The architect is often the first person you will hire for your project. If necessary, they might also help you select and hire Minnesota subcontractors, which can include the builders, engineers and landscaper. Interior architects are also involved in negotiating contracts for all involved participants. It is for these reasons that it is extremely important for you to have a good relationship with the Shoreview residential architect you hire. He or she can be the tie-breaking vote between you and the general contractor and can be your biggest advocate during the construction process. Different architecture firms in Shoreview, MN provide different services, so the scope of the work can span from pre-design environmental impact studies to selecting furniture and finishes, depending on what your specific needs are. It is very important to hire the right professional for the job. Remember that the most well-known or established designer might not provide the best architectural services for your needs. It all comes down to the individual project. Research and ask people whose work you like for recommendations. It's important to have somewhat of an idea of the style of house architecture that you prefer, as well as the amount you would like to spend. Residential architects in Shoreview, MN are natural problem solvers. They will assess the entire situation and help you to solve your problems too. Don't settle for a single company too early. Call and interview a few. Make sure that you feel like your personalities will mesh well and that you like their professional perspective. 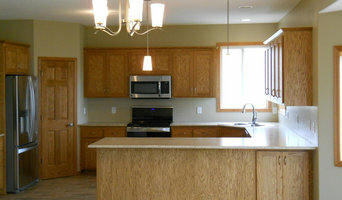 Find a home architect in Shoreview, MN on Houzz. Narrow your search in the Professionals section of the website to Shoreview architects. You may also look through photos of Minnesota projects to find interior architects and building designers who have worked on a project similar to yours.